Use a long grain rice but not necessarily and expensive one. Here is a simple way to make pilau but to get it right you have to get the right ingredients and the most important one being the pilau masala. 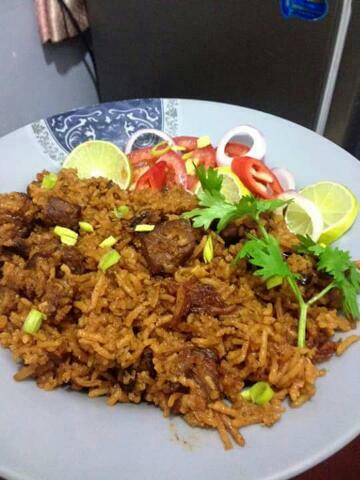 Pilau: Delicious and super easy. Good depth of flavor. ⏩Small piece Root Ginger (Chopped). ⏩3 Tbs Pilau Masala (or according to taste). Depending on which pilau masala brand you use, you may need to adjust the amount on my recipe. ⏩¹/₂ Kg Boneless Beef(tender and cut in small pieces). ⏩4 Tomatoes(diced very small) Blended gives better results. ⏩Tomato paste (optional) Do not use together with tomatoes (it's not necessary). Add the pilau masala powder, salt, and stir. If the meat has dried out, add a little water to prevent the meat from sticking. Allow cooking then add the finely diced tomato. (If you can blend the tomatoes it would give you better results). Add the rice and stir and ensure it's all mixed up. After about 5 minutes of cooking, give the rice a stir and cover. Repeat this while the rice is still wet and it's just to ensure all the rice cooks evenly and doesn't stick on the bottom. 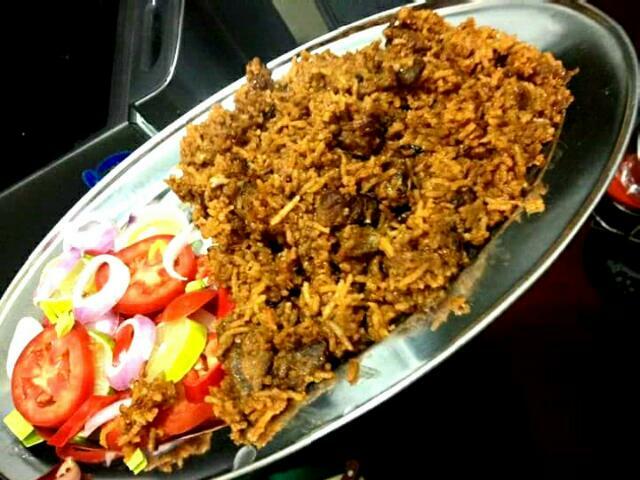 Now try preparing your own and if you get this right you should be able to enjoy your pilau and since it is a dry dish by itself, complement it with a salad on the side.